With Britain set to vote in a referendum on European Union membership on June 23, attention is turning to possible models for what a post-EU life would look like. 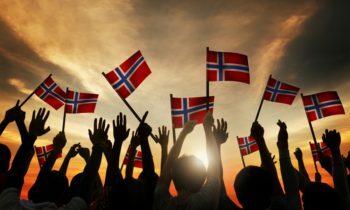 Much of that attention focuses on Norway, a wealthy country of 5 million people that narrowly rejected EU membership in its own referendum in 1994. Since then, the country has been part of the European Economic Area (EEA), a body with two other members – Iceland and Lichtenstein – that has access to the common market of the European Union and has to abide by many of its rules, but exists outside the 28-member union. 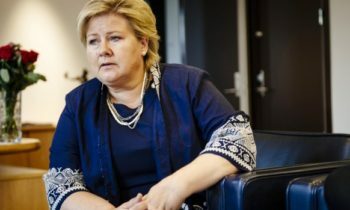 On June 3, Norwegian Prime Minister Erna Solberg sat down with Griff Witte, The Washington Post’s London bureau chief, at her Oslo residence to discuss what Britain can learn from Norway’s experience. The following are excerpts from their conversation. Q: Is Norway, in any way, a potential model for Britain if it decides to leave the EU? Because what we do is, we are sort of lobbying before they make decisions on internal markets, but we are not part of the decision-making process. So, the lack of democratic participation is a problem in the EEA agreement. The debate in Britain, you don’t solve with the Norwegian [model]. Q: When I talk to Brexit campaigners who cite the Norwegian model, they say, “Well, Norway is a small country,” as you have mentioned, and they don’t have the clout to negotiate the sort of deal with Europe that we would be able to negotiate. Great Britain, because it is Great, is going to be able to set terms in the way that a Norway or a Switzerland could not. A: That might be so. On the other hand, it will take some time. They will have to sort out what type of model do you have. Yes, I’m sure Britain will have more bargaining power in one way than we have; on the other hand, there will be much turbulence if you end up with a “no” vote. The mode in the first years will not be too positive. Q: So Europe will be reluctant to grant concessions. Q: Obviously immigration and free movement is at the heart of a lot of the Brexit campaign. But here in Norway, in order to have access to the free market, you also have to allow immigrants and free movement. A: In Norway, that has been a benefit. We went through a peak time in our economy due to high oil prices in a period when other countries had low growth in Europe and problems after the financial crisis. So we had a lot of Poles. I think they even surpassed the Swedes in the Norwegian labor market, and it’s been a benefit. We do appreciate the Polish plumber and the Polish engineer and the Polish worker on the shipyards, because they are participating in our economy. Q: Are there particular areas where it’s very problematic for Norway to be subject to EU rules but to not be in the room, to not have a voice? A: Sometimes you get very bureaucratic things decided which don’t suit our country. Ten years ago, the discussion was over how you were supposed to put up kindergarten playgrounds, because we have metal slides. If you have that in Italy, when it’s 40 degrees [Celsius], you can burn your buttocks if you go down. Not such a problem in Norwegian kindergartens. We are now doing a costly reconstruction of our road tunnels because of a new tunnel directive we have not been participating in. And of course, with fjords and mountains, you get a lot of tunnels. A: The last time we had a majority in the polls for membership in the EU was around 2004. At that time, Norway had a small economic downturn, our interest rates were double the level of the interest rates in the EU. And there was a postivism in the European Union. Then you started getting all the decision-making problems in the EU, and after that, it’s just dropped. Q: Do you think Norway should ultimately join the EU? A: I believe in the European project. I might not believe in everything they do. I think most northern Europeans think they should be more effective, less into detail. But, yes, I believe in the European idea. The EU helped build the bridges between Germany and France after the Second World War. Q: So Norway should eventually join? A: Yes. [Conservatives] have in our program of principles that Norway should be a member of the European Union. Yet even a majority in my party would now say, “No, we should not become members.” But we still believe in the European idea. It’s about democracy, it’s about cooperation, and small countries should always believe in multilateralism. If not, the big countries will decide. Q: Do you think the EU project is at risk of disintegrating? A: I think it will survive, but I think it will have a difficult time in these next years. The one issue we have that is now formative in political processes is immigration. And you see that political maps, maps in most European countries are changing because of that. 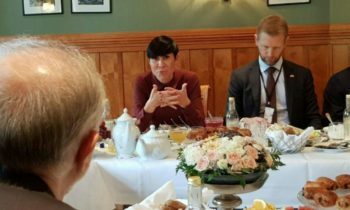 Q: Norway is obviously not an EU member, but it is a critical NATO member. If Britain decides to leave the EU, is that going to have implications for the security of Europe? A: It could. On military capacity and things like that, I don’t think it’s a problem because that’s the NATO part. But on the soft powers, the political cooperation, how you deal with having a unanimous European stand toward Russia, how you work on the problems in the south . 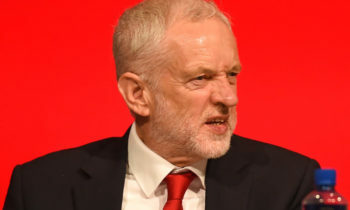 . . if they are not participating in debates around the EU table, that means there will be bigger differences in how you approach it, and I think that’s a challenge, because I think we now need a firmer Europe.